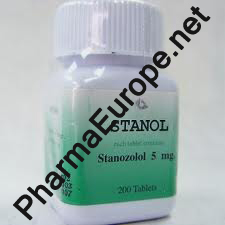 Winstrol, stanozolol is one of the most popular steroids among the top ones. It is a derivative of dihydrotestosterone, much milder in effect except for the androgenic side effects associated with it. It is shown to exhibit a great tendency to produce muscle growth with a milder effect than Dianabol, however as said before the water retention and the androgenic effects are not a concern.It is not capable of converting into estrogen so any sensitive individuals this drug is a great way to go since gyno is no problem. Since estrogen is the culprit of producing water retention this steroid is capable of producing lean, quality look to the physique with no fear of excess poundage except for muscle growth. This is why it makes this a favorable drug for pre-contest or to gain a ripped look especially if stacked with a non-aromatizing or milder aromatizing drugs such as Halotestin, Primobolan, Deca or Equipose. One should take in consideration that with the C17-AA alteration to bypass the livers first pass it will cause stress on the liver with the oral preparation (It could possibly happen with the injectable as well.) Stanozolol also plays a role in strong adverse changes in HDL/LDL cholesterol levels, especially with the oral form because of the method of administration, which may cause concern for this side effect. Combination with Proviron to the test cycle should prove useful by enhancing the free state of this potent muscle building androgen. The usage of this drug should be in the length of no more than 8 weeks since liver problems could arise so always check blood levels and liver enzymes. Dosage: For men the usual dosage is 25-50 mg per day for the tablets , for women 5-10 mg tablets per day, length of use should be kept to 5 -8 weeks. Side Effects: Side effects are very mild, liver stress can occur.